Tee off for Rainbow Trust and help us raise vital funds to enable us to support more families with a seriously ill child. 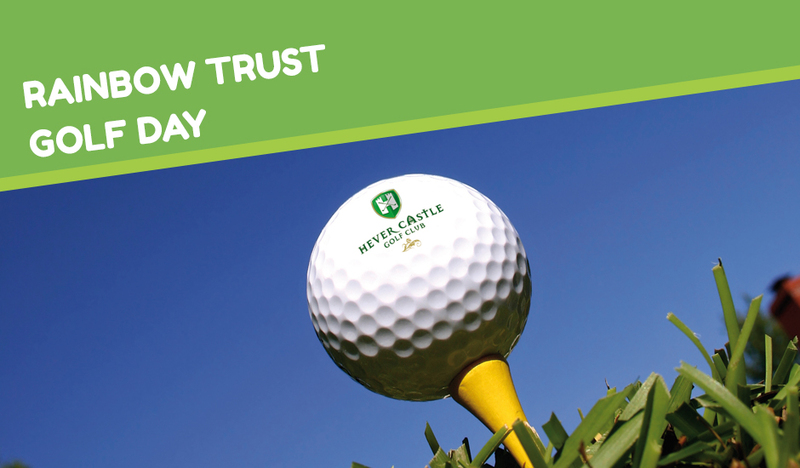 We are returning to Hever Castle Golf Club on Friday 11 August for the popular Rainbow Trust Golf Day. Nestled in the hills bordering Kent, Surrey and Sussex, the course covers 250 acres, and we will be playing their championship course. The day starts with bacon butties and an opportunity to size up the competition, followed by a four ball on the beautiful course. Back at the Club House there’ll be time for a drink or two before finishing the day with a delicious three course meal, prize giving and entertainment. Tee-off times are staggered between 11.30am – 1.30pm, and the competition is run under Stableford rules. All teams are encouraged to provide an auction prize. A team of four costs £400 - to book online please click on the link on the top right hand side. To find out more or to book offline please contact Candy on 01372 220042.